Use the form below to contact tour Via Algarviana directly. 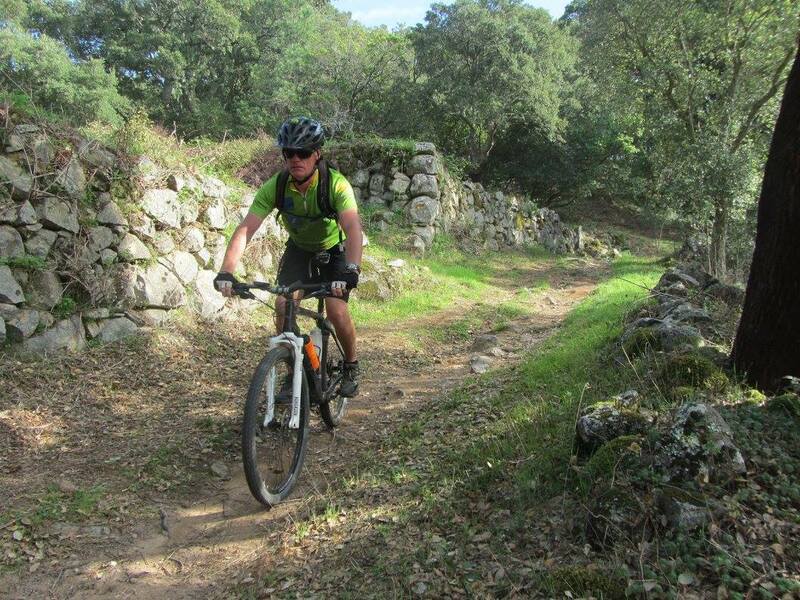 This challenging, self-guided mountain bike holiday spans the whole of the Via Algarviana, 300 kms of ancient tracks through the mountains that form the backbone of the Algarve and which were built to connect the people of Southern Portugal to their land and settlements. 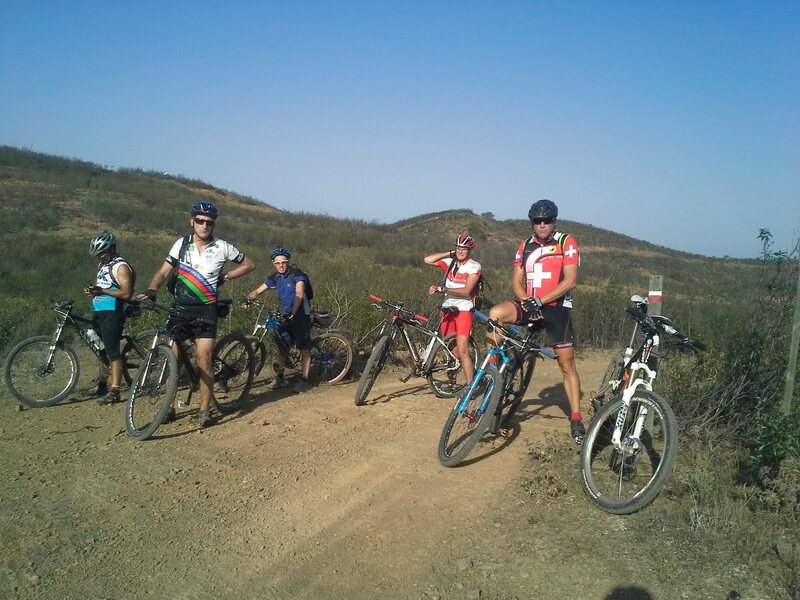 It is not a trip for the faint-hearted; there are some steep, challenging sections. 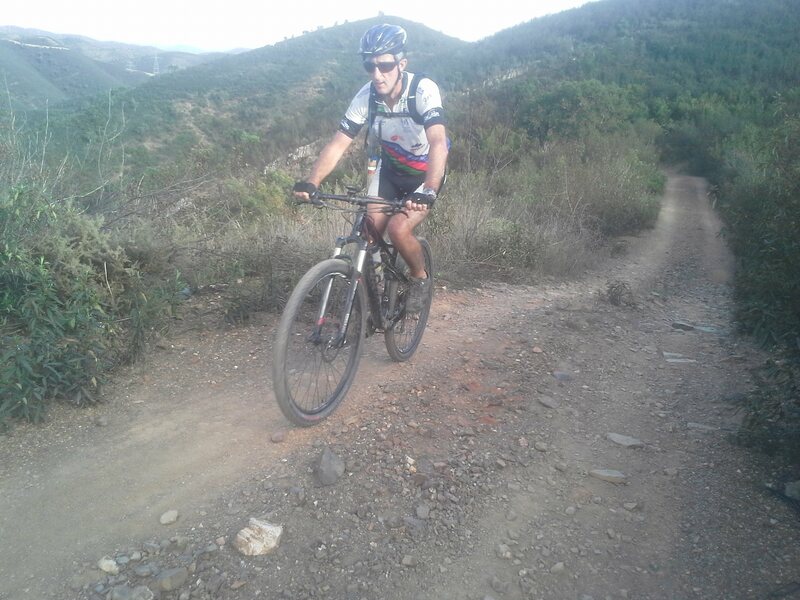 But a mixture of single tracks, sandy trails and rough paths, (plus some stony ascents and descents that will test even the most accomplished riders) will provide you with a memorable riding experience. Upon your arrival in the Algarve, we will meet you and transport you to your accommodation in Alcoutim, a pretty hillside town overlooking the Guadiana River, that forms the natural border with Spain. It’s an unassuming little place but was actually one of significance in the days when the Guadiana River was used as the principle means of transporting goods. You may like to walk up to the castle remains, which now plays host to a museum, or simply wander through the cobbled streets and quaint little squares to the promenade on the bank of the river. You can easily wile away time watching the boats as you enjoy some fresh fish in one of the riverside restaurants. 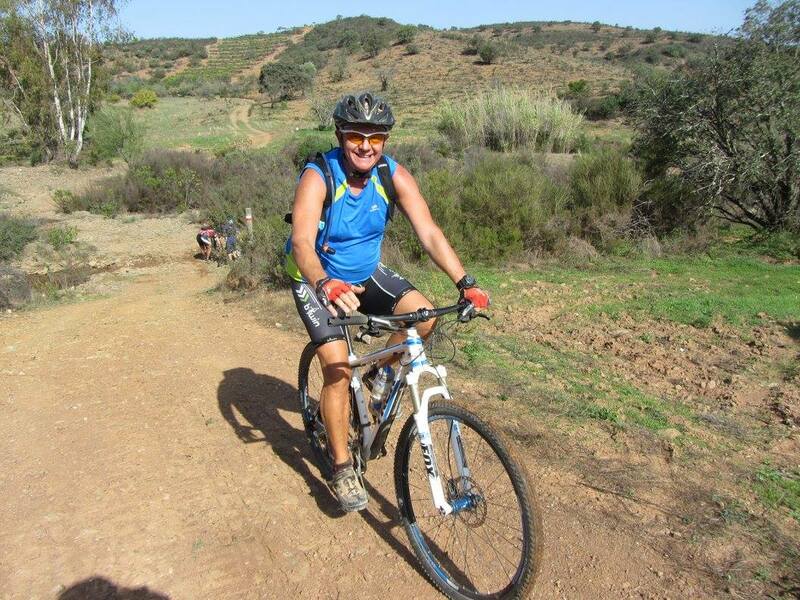 Today provides an excellent introduction to mountain biking on the Via Agarviana; deserted tracks, river crossings, isolated hamlets and some serious climbs. Leaving Alcoutim the track initially follows the river, where you can really take in the valley’s natural beauty. As you bend away from the river and head inland the terrain becomes more challenging, with several uphill and downhill stretches. The traditional agricultural landscape that has seen little change in many years will provide a fascinating backdrop to your ride. You will pass through tiny villages and hamlets where the houses have been passed down through generations and where the kitchen gardens provide all that is needed to flourish in this simple, rural life. There’s a huge variety of scenery as you make your way through your first day, from fields of livestock and cereal crops to dense vegetation and fast flowing rivers. You will spot items of historical interest, such as the old windmills, waterwheels and stone walls that are a symbol of days gone by, and yet the charming local people that you meet on your way will remind you that many of these old traditions are still very much alive. Your destination for the day is Vaqueiros, a little populated area that was built on an Arabic settlement, where cork and medronheiro (strawberry tree) grow abundantly. Your accommodation for the night will provide you with the perfect, peaceful setting in which to unwind and get a good night’s sleep, ready for tomorrow’s adventure. This is a challenging day as you head through mountains and valleys, but the steep terrain brings with it many natural sightseeing spots. You will pass by working farms where you can witness the authentic agricultural mountain life. It’s fascinating to see how harmonious the relationships are here between the people and their land. 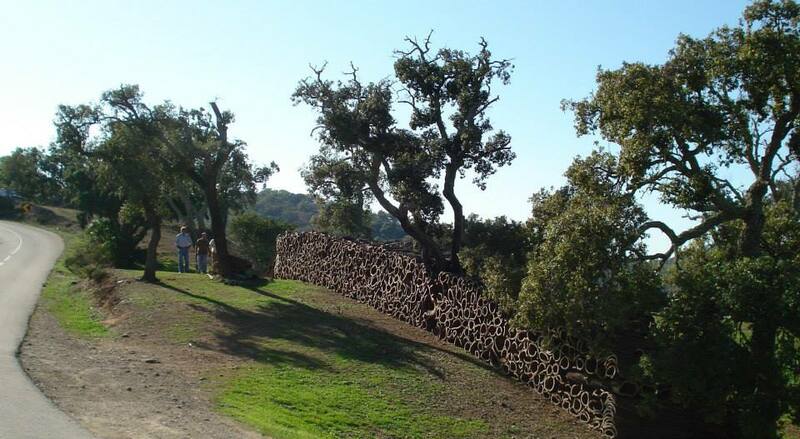 You may welcome the shade of the dense cork oak forest, as you approach Cachopo, a pretty little village with traditional style houses and church. You may like to stop in one of the village cafes for a welcome coffee and sample some of their homemade cheese and honey. Continuing your journey through spectacular landscape as you enter the Serra do Caldeirão, you can expect some steep climbs and descents as you pass through small settlements, where you can pick up an abundance of local produce, including Medronho, the rather strong fruit brandy. As you pass through the quaint hilltop town of Barranco do Velho, you may be tempted to lunch at the very traditional and long established Tia Bia restaurant. 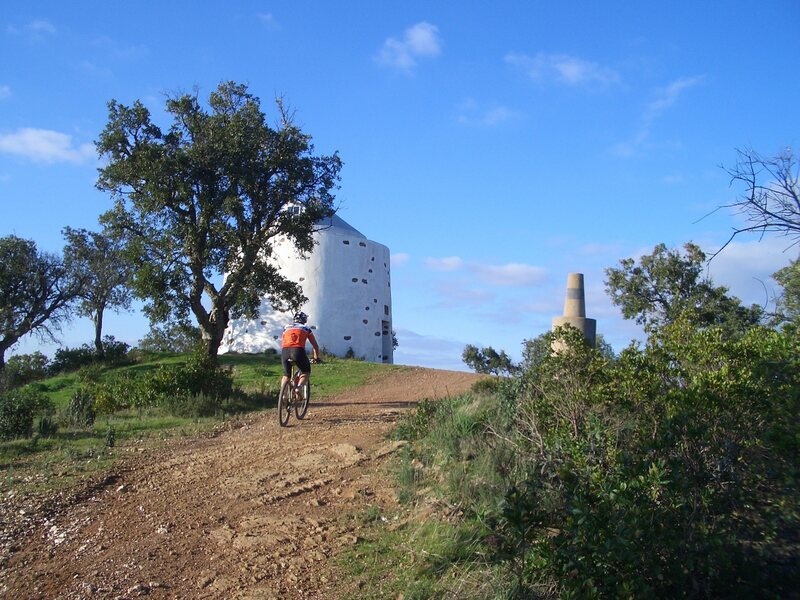 The last leg of your journey will afford you a fabulous view over the mountains towards the coast from the Eira de Agosto’s windmill, before you tackle a fabulous rocky descent into the lower Barrocal region, where the landscape changes into largely agricultural land area around Salir, your destination for today. 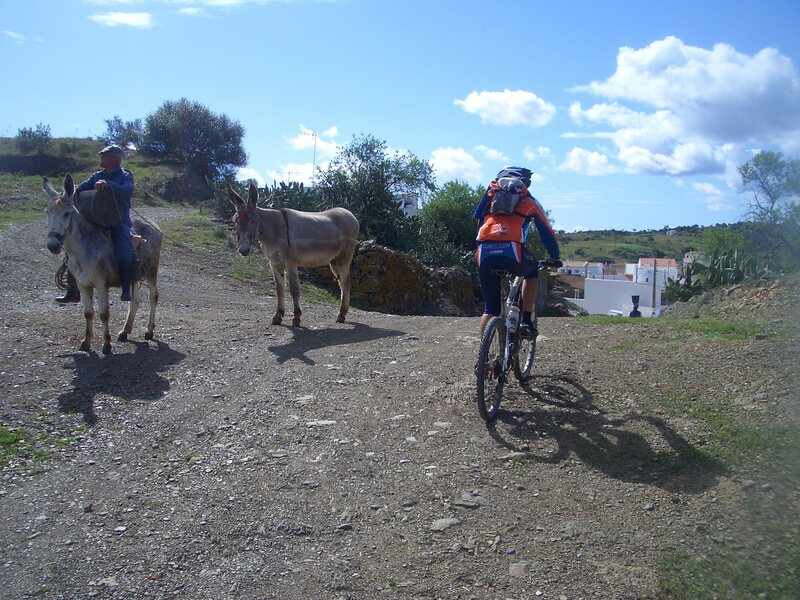 This is a day of contrasting scenery as you make your way through farmland and past reservoirs to reach the historical town of Silves. After passing through Benafim, a small village of houses and narrow streets where traditional architectural design can still be seen, you will cross expansive agricultural landscape before you reach the picturesque fresh water springs, for which Alte is famous. This charming village has a beautiful church in the centre, surrounded by cafes and craft shops selling locally produced goods. A coffee and pastel de nata (custard tart) on the back terrace of the pasteleria, Agua Mel, is hard to resist, whilst a short stroll around the village will reveal some lovingly restored houses and lots of little surprises, including a village donkey! Leaving Alte behind you will travel through the typical rural landscape of Algarve’s “barrocal” region (the dense agricultural area that marks the transition between the coast and the mountains of the Serra). Your senses will be awakened as you cycle through orchards of almond, carob and orange blossom trees, amidst dispersed house settlements that form the outskirts of Messines, another typical agricultural town, with narrow streets and the iconic church as its centrepiece. On the other side of town you will enter lush green valleys, with tiny hamlets and farmsteads amidst an abundance of thick vegetation. Following some fabulous dirt tracks you will then skirt the Barragem do Arade (a huge reservoir that is one of a few providing much needed water to the region) where, again, you can expect to be overwhelmed by the totally unspoilt surroundings and dramatic views. After a strenuous climb you will then head down to a eucalyptus covered valley and continue along the Arade river, until you reach Silves an enchanting town on the banks of the river. You will most certainly want to make the most of your stay in Silves. Steeped with history, it was once the Moorish capital and is home to the best-preserved castle in the Algarve. The views from the castle over the town and the surrounding countryside justify the rather steep ascent along narrow cobbled streets. There’s a café just by the entrance to the castle where they play live music, a great spot to wile away an hour or two. Host to an annual Medieval Festival, one of the biggest in the region, Silves is ordinarily a sleepy town, where you get the real feeling of taking a step back in time as you wander through the myriad of back streets. 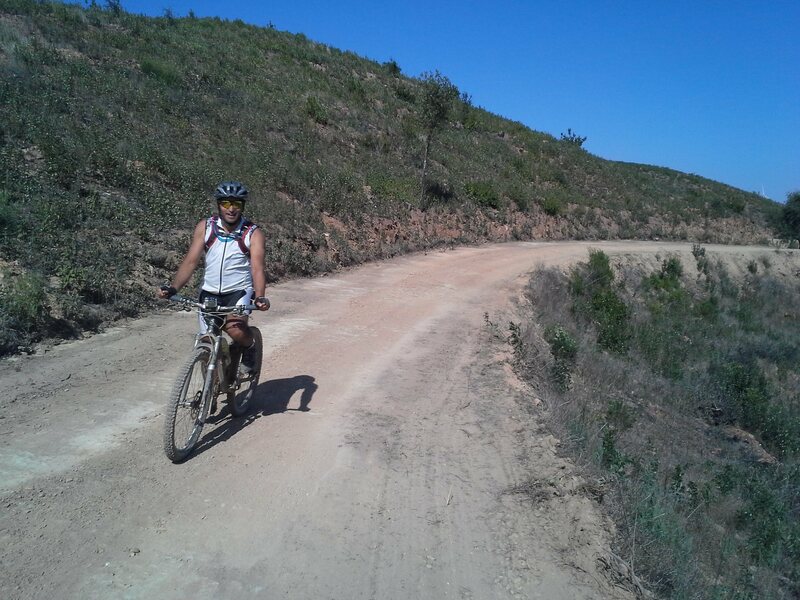 Today you cover less distance, but there are a series of climbs in the forested hillsides leaving Silves. 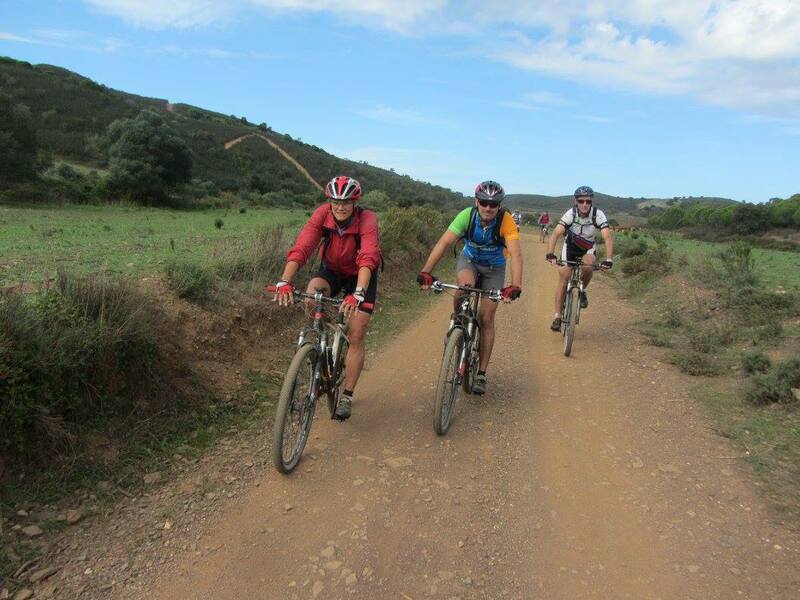 After crossing the Odelouca river you enter the Monchique mountains and the longest climb on the Via Algarviana, towards Picota. 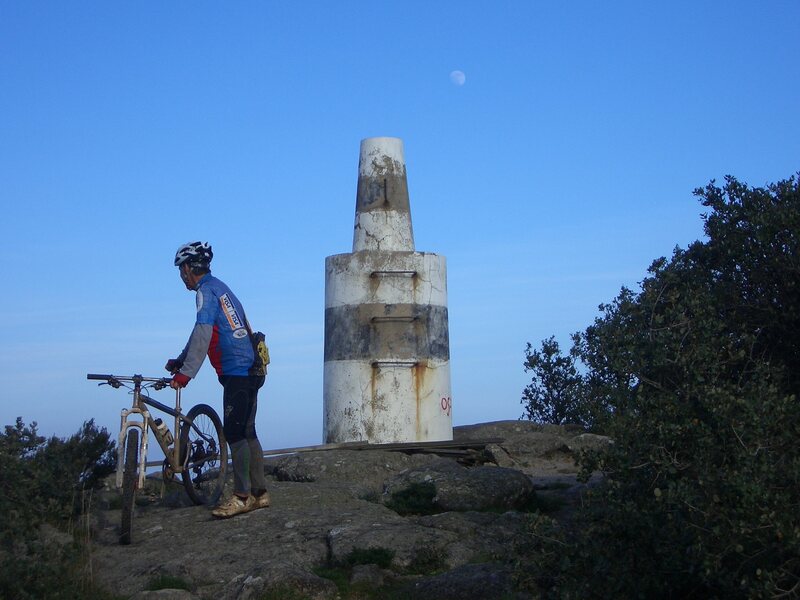 But if the 360º views on the summit do not make it worthwhile, then the descent to Monchique through the dense eucalyptus, chestnut and cork forests will! 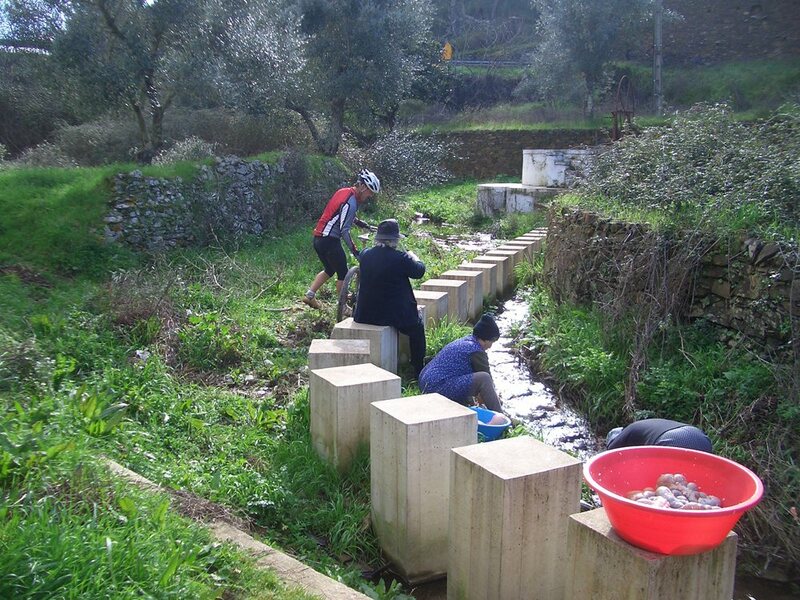 After various climbs and descents the Via Algarviana approaches the Ribeira de Odelouca, a tributary of the river Arade. After crossing the river your long, steady ascent to Picota begins and the landscape changes as you pass through the tightly packed eucalyptus plantations. It’s not long before you start to enjoy magnificent panoramic views of the hills to the south and east, as well as to the coast. 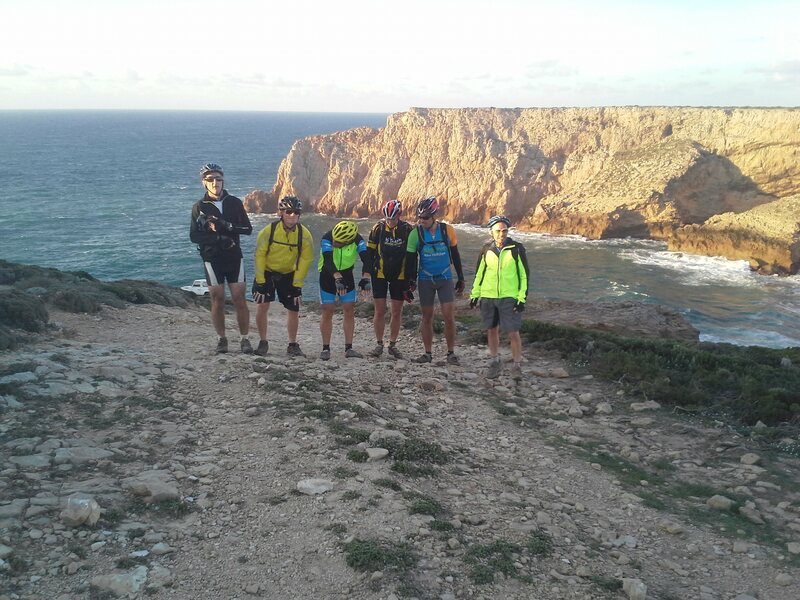 You will feel a great sense of achievement as you reach the top of Picota, the second highest spot in the Algarve (774m). The last stage of today’s ride leads you into Monchique, a spa town set amidst pine forests and valleys with freshwater springs. Monchique is a perfect place to spend the last night of your journey; a quiet and relaxed town, with friendly locals and some fabulous restaurants with views to die for. If you feel in need of some pampering, neighbouring Caldas de Monchique is home to some traditional thermal baths, where you can rest your aching legs as you enjoy some rather special spa treatments. From here you will follow a meandering, yet testing ascent to Foia, the highest peak in the Monchique mountain range (902m). 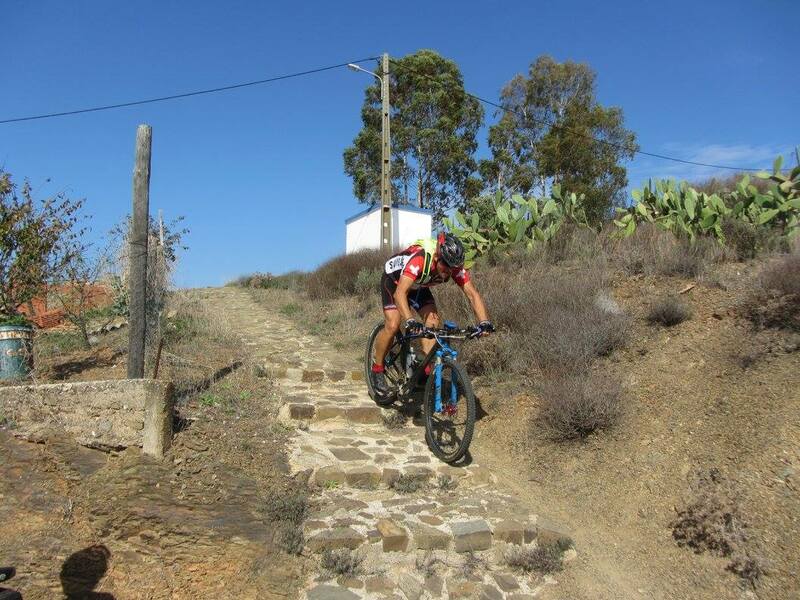 It’s an iconic goal that is attempted by local and pro riders alike but, most importantly, on a clear day, you get the best views across the Algarve right down to the coast. The track then descends through a long and beautiful valley, with ancient agricultural terraces where animals can be seen grazing. 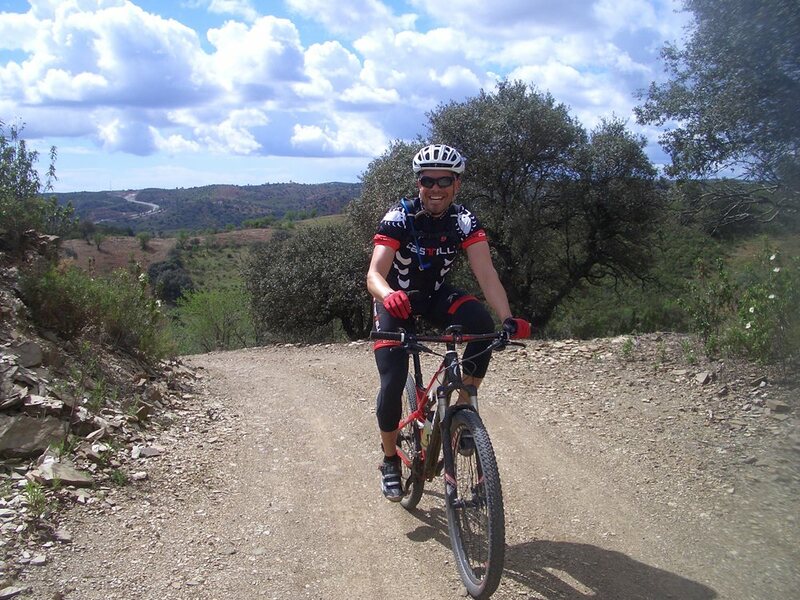 From here you will follow the forestry trails to the typical mountain village of Marmelete, where you may stop for some well-earned refreshment, before enjoying a comfortable cruise downhill through scattered villages to the Bravura Dam. The terrain flattens out as you enter the wide open landscapes of the Vicentina Natural Park, one of the most beautiful protected areas in the country. It is here that you will see the sea for the first time as you approach the headland, Cabo de São Vincente (“Cape St. Vincent”). There is a lighthouse (claimed to be one of Europe’s most powerful lighthouses) and the views from the point are simply breathtaking. 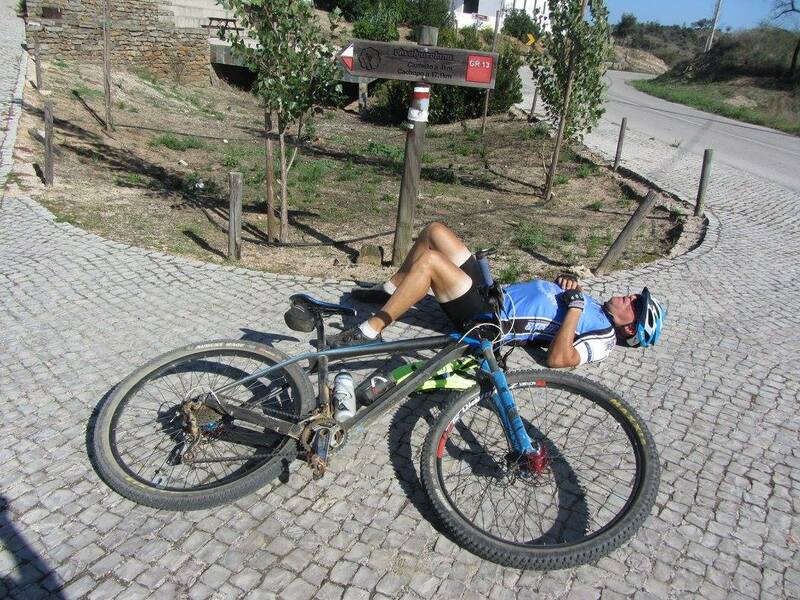 It is the end of continental Europe and also of your cycling trip! From here we will transfer you to Albufeira for your last night’s stay. Despite being one of the busiest resorts in the Algarve, some of Albufeira’s Old Town still retains the essence of the village it once was, with narrow cobbled streets winding up and around the hillsides and typical single storey houses lining the roadside. Your hotel is conveniently located to explore the town and beach (a perfect place to recover from your day’s cycling). There is no single supplement as we do not recommend you undertake this trip unaccompanied.